This chapter examines the key features of learning in, and for, the informal sector in the African context. 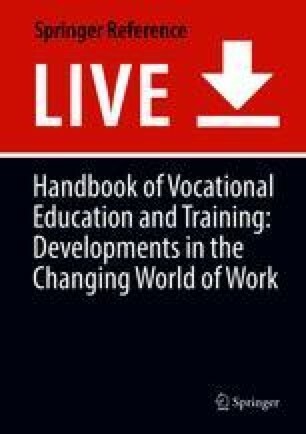 It posits the view that there is an important opportunity provided in the contemporary discourse of work-based learning for ensuring that learning in this sector is enhanced, while the more complex issue of the sector’s legitimacy in the national development discourse is being debated. It suggests that the emerging notions associated with the current work-based learning (WBL) discourse can be usefully incorporated to legitimate learning in this sector and to ensure its positive elements are incorporated into national skills development systems. The renewed interest in the concept provides an opportunity for advancing the skills development agenda in economies where the informal sector needs to be seen as a complement to a national system that requires all learning forms to be legitimated to ensure that national development imperatives are realized.